Morris (Moshe Aharon) Soupcoff was born in 1852 in Russia; his father was Nachman (according to Morris' tombstone). 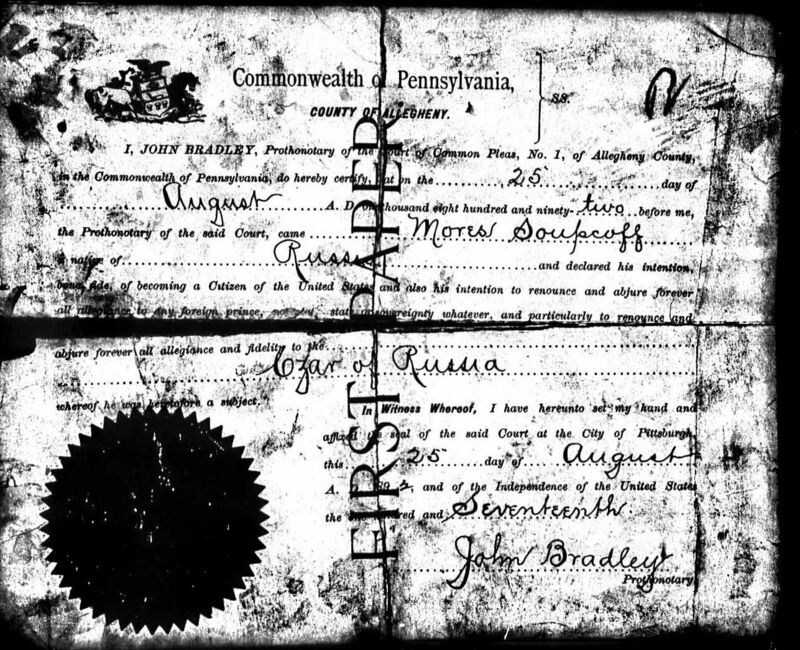 Morris and Mollie Soupcoff arrived in the United States in 1887 (according to his naturalization papers, he arrived June 15, 1887--but I haven't found his manifest). In 1892, Morris declared his intention to become a citizen. Earlier, I'd tracked my cousins (1st cousins, 3 times removed) Ben Supkoff and Irving/Isidore and Max Supcoff. On their manifests, they all had mentioned that they were joining their uncle, Max Zupkoff/Zypkoff who lived on Webster Avenue in Pittsburgh. So who was Max and how is he related? This is the second in the Supkoff Spellings series. Just after I posted about David Marienhoff/Alpern, a half-brother of my great-great grandmother, a large envelope arrived in the mail. 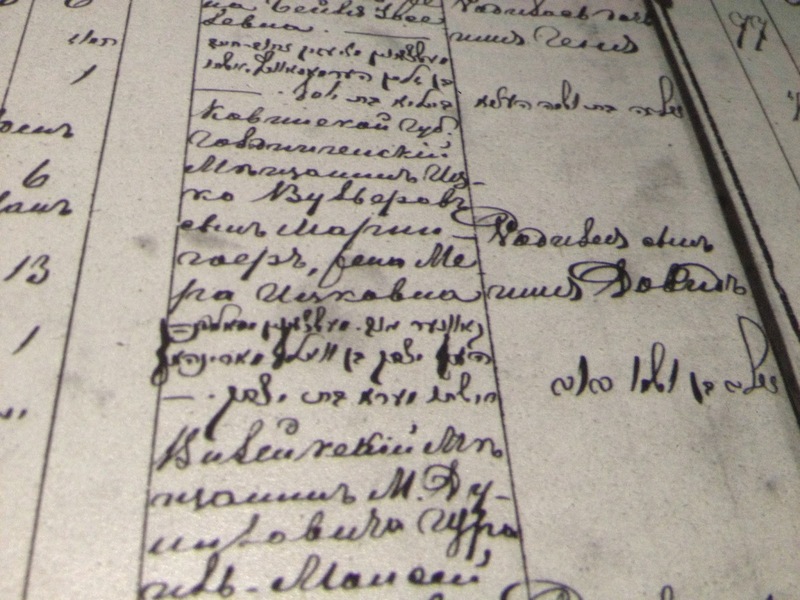 Much to my surprise, David's military records were quite thick, even though he had been enlisted for less than a year! I started at the end and was a bit surprised to see his discharge papers which cited "excessive stupidity and peculiar actions were noted from the time the man joined the Company...." And it went downhill from there. This is the ninth in a series tracking the children of Mira Halperin Lefand Marienhoff. You can see everything in this series to this point here. David Marienhoff (later David Alpern) was born in Nezhin, Russian Empire to Mira and Yitzchok Marienhoff on May 20, 1885--their first child in what was a second marriage for both Mira and Yitzchok. My great grandmother Mollie Supkoff Tolchin's family name was Zubkis in Europe but her siblings and their descendents were consistent in the Supkoff spelling of their name once they came to Pittsburgh. There were other families with a similar name but different spellings in the Pittsburgh area. They seem to be all connected. For some I've found the connection; for others, I've done some comprehensive research on their family to try to find their relationship to my Supkoffs--and that is still a work in progress. These posts can all be found here. The first family I'll be discussing spells the name "Supcoff." 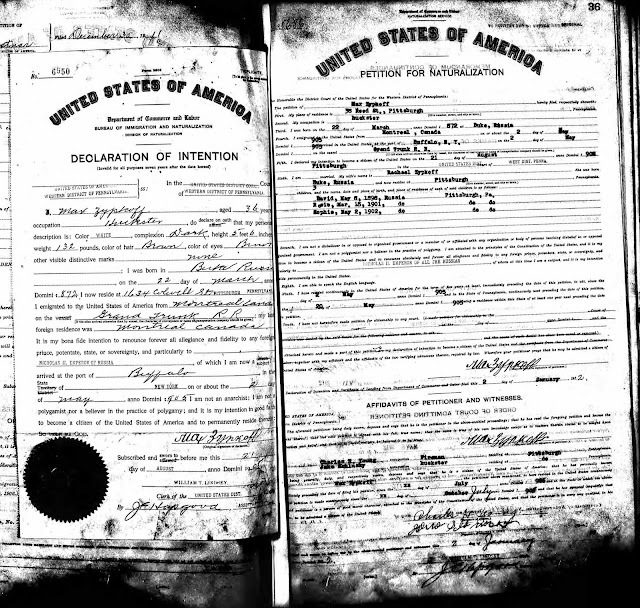 Three brothers came to America: Benjamin (born 1896), Irving/Isadore (Born 1901) and Max (born 1903). Benjamin actually took on the Supkoff spelling (and married my great grandmother's sister Fannie--so she didn't have to change her name when she was married). Irving/Isadore arrived first, in 1922, under the name Isidore Zupkoff. I previously blogged about the documents that my grandfather, Paul Diamond, generated when he was in a DP Camp in Germany in order to come to American. Once in America, he began the process of becoming a United States citizen. In September 1947, just over five months after arriving in America, he filed his Declaration of Intention--and lists his name as "Pejsach Diment also known as Paul Diamond"--and attaches a photo. 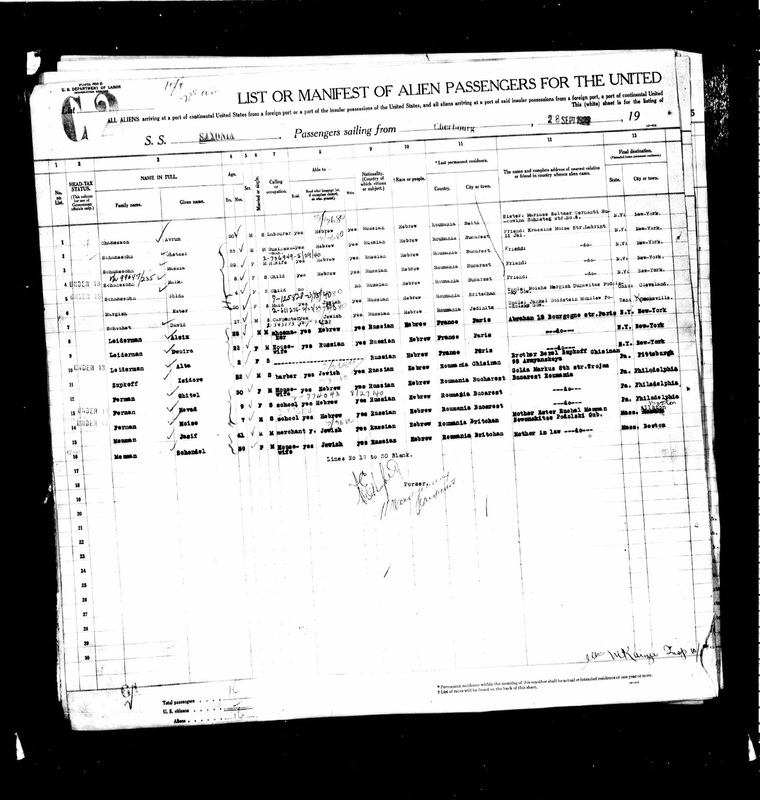 I recently received a C-File for my grandfather, Paul Diamond, via the USCIS Genealogy program which contained a lot of interesting documents as well as some photos. While in the Neu Freimann DP camp outside Munich, he applied for a US Visa.